As Head Tutor at the Malton Cookery School, and the founder of the ‘Yorkshire Food Finder’ respectively, Gilly Robinson and Sue Nelson are known throughout the county for their innovative approach to ingredients and their desire to use local produce, popping-up in less than usual locations. Guests started the evening with a Yorkshire approach to a Scottish classic – Cullen Skink. But instead of Haddock smoked in the town of Cullen on the North East coast of Scotland, it was Haddock landed in Bridlington and smoked locally by the superb Staal smokehouse, and the accompanying bread was made with DP002. 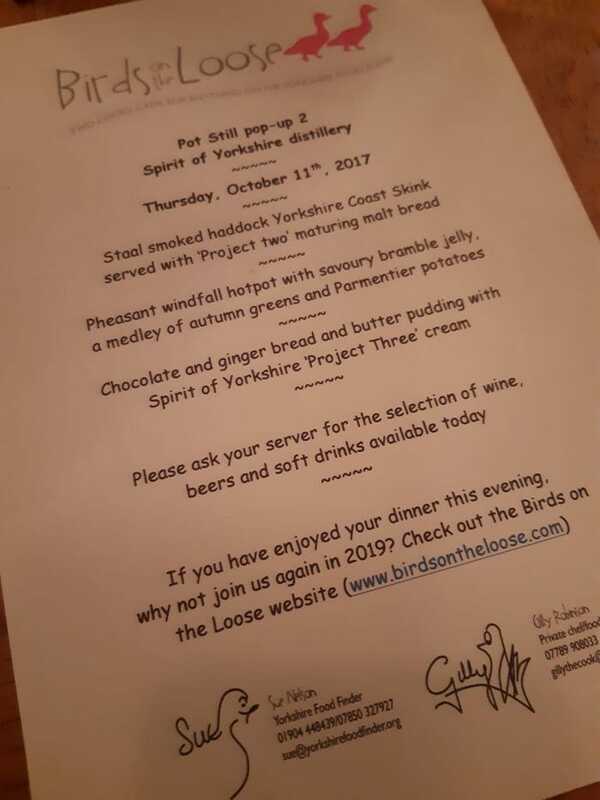 The main course was a ‘Pheasant Windfall Hotpot’ (if you’ve driven round here lately you’ll know there’s no shortage of pheasants in these parts!) and the evening was rounded off with a ginger and chocolate bread-and-butter pudding, served with DP003 spiked cream. 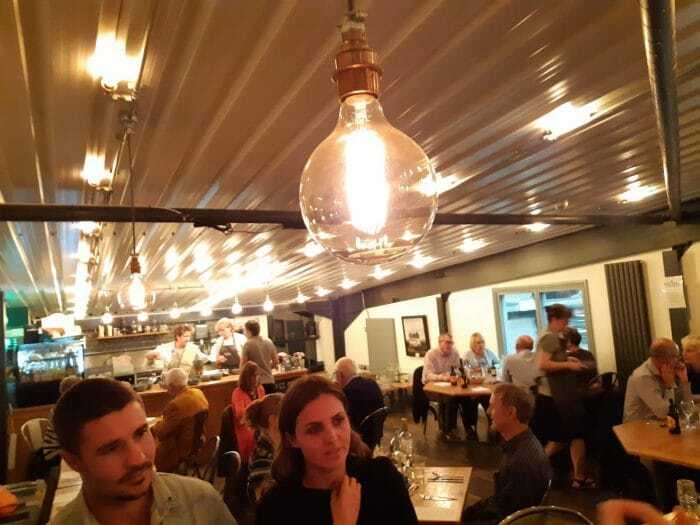 Our Pot Still Pop Ups aim to celebrate local chefs and produce, creating exciting evenings in a unique location. To stay informed about our next Pop Up, please follow our social channels and/or sign up to our newsletter here.